Many betta enthusiasts novice and experienced alike use marimo moss balls for betta tanks. They require little to no maintenance, they look great and tank inhabitants love them. 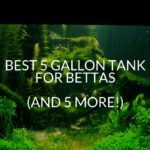 In this article, you’re going to find out why you should use marimo moss balls for betta tanks. 1 First Of All, What Are Marimo Moss Balls? 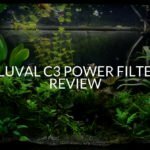 2 What Are The Benefits Of Adding Marimo Moss Balls To A Betta Tank? 9 Do Bettas Like Marimo Moss Balls? 20 How Many Moss Balls Can You Have In A Betta Tank? 21 How Fast Do Marimo Moss Balls Get, And How Big Can They Grow? First Of All, What Are Marimo Moss Balls? Marimo moss balls are found in Iceland, Estonia, Japan, and Scotland. They are balls of algae packed together so densely, as long as they aren’t tampered with they will stick together. Believe it or not, there is no solid core to them and you can remold them over and over again if you want too. 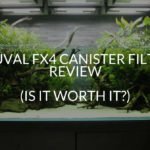 And don’t worry about them being algae, they aren’t going to have a negative effect on your tank. On the contrary, there are a lot of benefits to adding a marimo moss ball to your bettas tank! What Are The Benefits Of Adding Marimo Moss Balls To A Betta Tank? Marimo moss balls have a whole range of different benefits that make them worth adding to your bettas tank. Some of the main ones are listed below. One of the reasons people avoid live plants in their tank is because of the amount of maintenance they require. Such as making sure the lighting and water conditions are good. And once you’ve done that you’ll have to trim them regularly. This isn’t required for moss balls. In fact, most of the time you can just leave them in your tank to do their own thing. Only turning them every so often or cleaning them (Which requires minimal effort). All tanks need beneficial bacteria. 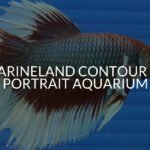 They help break down ammonia, nitrites, and nitrates keeping the water hospitable for your fish. And because of the large surface area they have, they are the perfect place for a bacteria colony to grow. 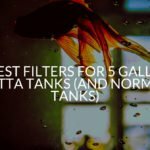 This also means that you don’t have to worry about cleaning your filter so often, because you won’t lose all the bacteria in your tank. And it will begin to multiply again in no time. Marimo moss balls like all plants are also going to help remove waste products from your tank. Plants use the nitrites, nitrates, and ammonia in a tank to help them photosynthesize. They’re also going to remove some of the co2 from the tank and replace it with oxygen as well. 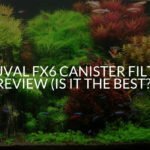 If you have any fish in the tank with your betta they’re going to appreciate a tank with more oxygen circulating! 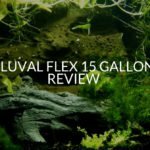 If you don’t have any other plants in your tank then it’s likely that you will begin to notice algae growing. Without plants taking up the nutrients algae needs, it’s free to grow. However, if you add a couple of moss balls to your tank then they’re going to use up the nutrients algae needs to grow. 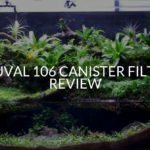 This means that you don’t have to worry about algae overtaking your tank. Another problem with plants is the waste they produce. As they grow, they’ll begin to shed their leaves which fall to the bottom of the tank and decay. This decaying matter produces ammonia which then has to go through the nitrogen cycle. But what if you could add a plant that avoided this altogether? Well, Marimo Moss balls are that plant. They don’t produce any waste unless they’re sick or dying. Which is also incredibly rare. Trying to kill a Marimo moss ball is hard. Not only can they survive in a range of temperatures and pH levels, but they’ve also been known to survive in salt water as well. You can even take them out of water for a few days and as long as they stay moist they’re going to be fine. Just make sure you don’t add algaecides or chlorine into your tank, which will definitely kill them. Do Bettas Like Marimo Moss Balls? There’s no point using marimo moss balls for betta tanks if your betta is going to hate them. Luckily it’s quite the opposite, your betta will love a marimo moss ball in his tank. When you first add your moss ball, it will float on the top of the tank until it soaks up enough water. (Unless you submerge it until it sinks.) 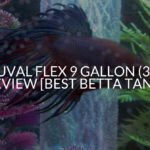 While it’s at the top of your tank you’ll notice your betta will begin to explore it, before pushing it around. When they sink bettas use them like footballs and push them around your tank. And depending on the height of your tank, your betta may even decide to rest on his moss ball. Because they love resting on stuff in the wild such as leaves. So, if you’re worried about your betta not liking his moss ball don’t worry, they’re going to make a great toy and decoration for your tank! Marimo moss balls require minimal care, however, if you don’t make sure a few basics are taking care of then you may end up losing your moss ball. If you want your moss ball to keep its shape then make sure it doesn’t stay in the same position for too long. If your moss ball is in one position for too long it will begin to sag. To stop this happening just make sure you’re rolling it around in the tank every once in a while. 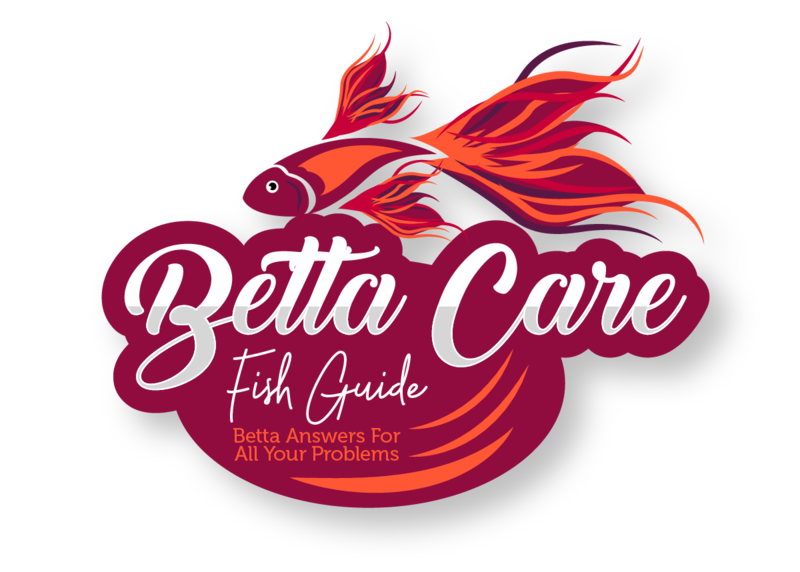 However, if you notice your betta knocking it around you won’t need to bother doing it. The only real care your moss ball needs is making sure it gets the right lighting. They are normally found at the bottom of cool lakes and ponds, so you should mimic this as best you can. Your tank should be out of direct sunlight but if it’s not then you should move it somewhere it will be. If you can’t do that just make sure that your moss ball is under shade. If you do notice that one side of your moss ball is going brown rotate it so the brown side is hidden from the light. Cleaning a marimo moss ball is incredibly easy and doesn’t need to be done often. In fact, you’ll only need to do it when you’re changing the water in your tank. To clean the moss ball take it out of your aquarium and place it in a bucket with some of your bettas old aquarium water in it. Once you’ve done this begin gently squeezing it. It will expel water with each contraction, before absorbing it as it returns to its normal round shape. If you want, you can even squeeze your moss ball once it’s out of the water as well. 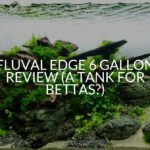 When you place it in your tank, it will float on the surface, giving your betta a novel experience. And if your moss ball goes out of shape, just gently roll it around in your hand until it’s spherical again. Although it’s rare, it’s not impossible for a marimo moss ball to become sick and unhealthy. If you notice this, and you act then you shouldn’t worry. Marimo Moss Balls are extremely hardy and will return to normal when their needs are met. Here are the following symptoms and how to treat them. 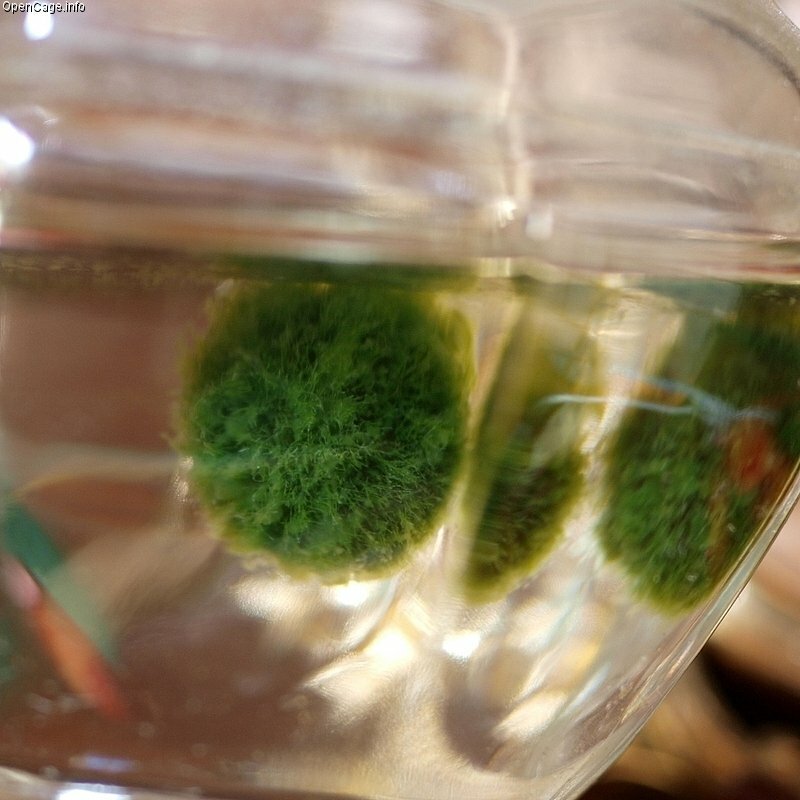 If your marimo moss ball is brown there are a number of different causes. You need to diagnose correctly to make sure your moss ball bounces back. If your Marimo moss ball is brown all over (or grey all over) then it means it should be cleaned. What you’re seeing is just a buildup of dirt. You should take the marimo out of your betta tank and squeeze it out in a bucket of aquarium water. If after a few rinses it still appears brown, then use water conditioner in tap water and really swish it about. You should notice the coloring slowly turn to green. Once this done just plop it back in your tank. If you notice that your moss ball is only brown on one side it’s because it’s not getting adequate lighting. Simply roll the moss ball over so the brown side is now the opposite part of your moss ball facing the light. Leave it until it goes green again. Once your moss ball is completely green, make sure it’s being rotated often so each side gets enough light. You may also notice that your marimo is turning white on the outside. When your marimo is turning white it’s because it’s getting too much light. To stop this happening place it somewhere with more shade in the tank. Once you do this you’ll notice it going back to its normal green color again. If you notice that your marimo has turned yellow, then it’s normally due to interacting with dangerous chemicals. This could be if you washed it under tap water without conditioning it first or something similar. If you notice a yellow Marimo swish it around in a bucket with aquarium water in it, before adding it back to your tank. As well as changing color, the way your marimo feels can also change color. If you notice that your marimo feels slimy or slippery then it could have another type of algae latching onto it. This is extremely bad news if not treated. When plants get covered in algae they become suffocated and choked, they’ll be unable to absorb nutrients from the water and slowly die. 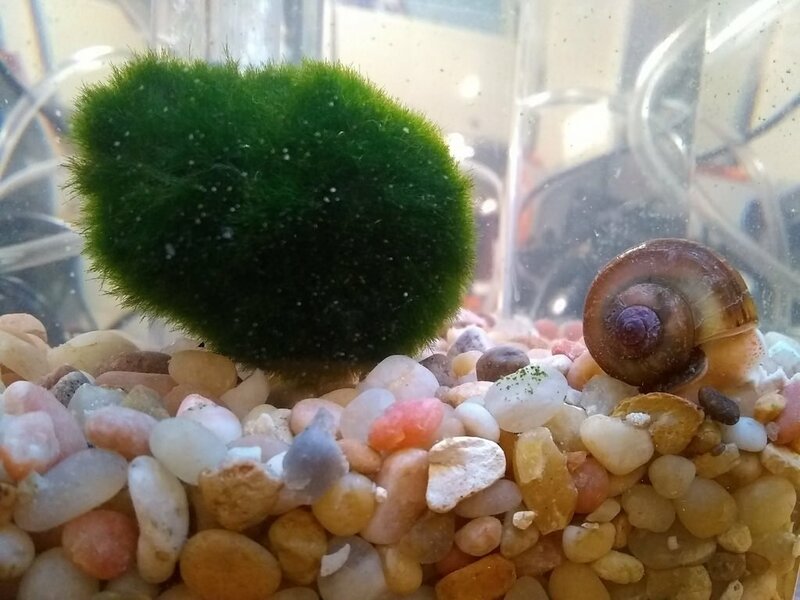 To treat a slimy marimo you should place it in a container with aquarium water and begin rubbing the sized of your moss ball until you can get the algae off. Depending on the type of algae it may be possible to pick it off with your fingers in sheets as well. If you notice that you marimo is falling apart, this isn’t necessarily a bad thing. In fact, there are two things you can do to fix this. First of all, you can pick up all the pieces and begin rolling them together until they’re a ball again. However, if this doesn’t work roll the individual pieces into smaller balls. Once you’ve done this make sure they are all getting enough sunlight and are moving often. When you leave them for long enough you’ll have even more moss balls in your tank. A black moss ball is the most serious type of moss ball. At this point, your moss ball is dying but hope is not lost. When you notice the moss ball in your betta tank becoming black then you should immediately pick all the black pieces out of it. As well as removing any blackened parts you should also swish your moss ball around in a container of your bettas old tank water as well. And lastly, make sure you’re reforming your moss ball when you’re cutting parts out of it. Otherwise, it will be more likely to fall apart. If you notice your marimo floating then there’s nothing to worry about. Floating Marimos often happen when you first add them to the tank or after you’ve washed them. The reason a marimo floats is that there’s air trapped inside it. You can either wait for the air to leave naturally or gently squeeze your moss ball underwater, squeezing all the air out. How Many Moss Balls Can You Have In A Betta Tank? If you like marimo moss balls then you’ll be pleased to know that you can keep more than one in a betta tank. In fact, due to the fact they don’t produce any waste in your tank, you can actually keep quite a few. The reason you shouldn’t add too many is to make sure they can grow adequately. So as a rule of thumb you should keep 1 – 3 moss balls per gallon of water. How Fast Do Marimo Moss Balls Get, And How Big Can They Grow? If you can keep a marimo moss for long enough then it’s going to grow massive in size. 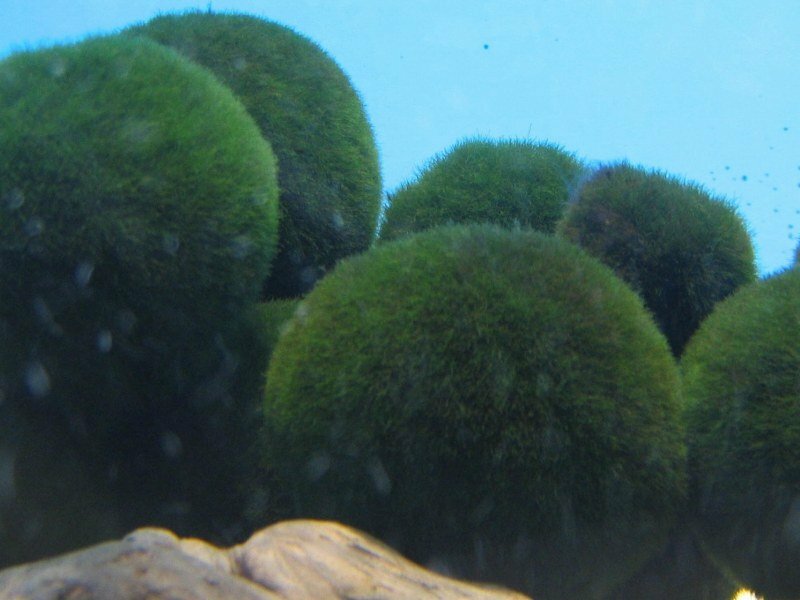 At their biggest marimo moss balls are known to grow 8-12 inches in size. This is about 4x the size of your betta! However, don’t panic, they only grow about 5mm a year so it will take many years for them to reach their maximum size! And if you’re worried about your moss ball getting too big, just break it in two and roll the separate parts into smaller moss balls! I hope this article was helpful! Marimo moss balls are great plants to keep in your aquarium and if you’re a beginner or don’t have strong lighting then they’re going to be perfect for you! If you have anymore questions you can leave them below, otherwise have a great day!